banana appam recipe | banana paniyaram | balehannu mulka or appa recipe with detailed photo and video recipe. 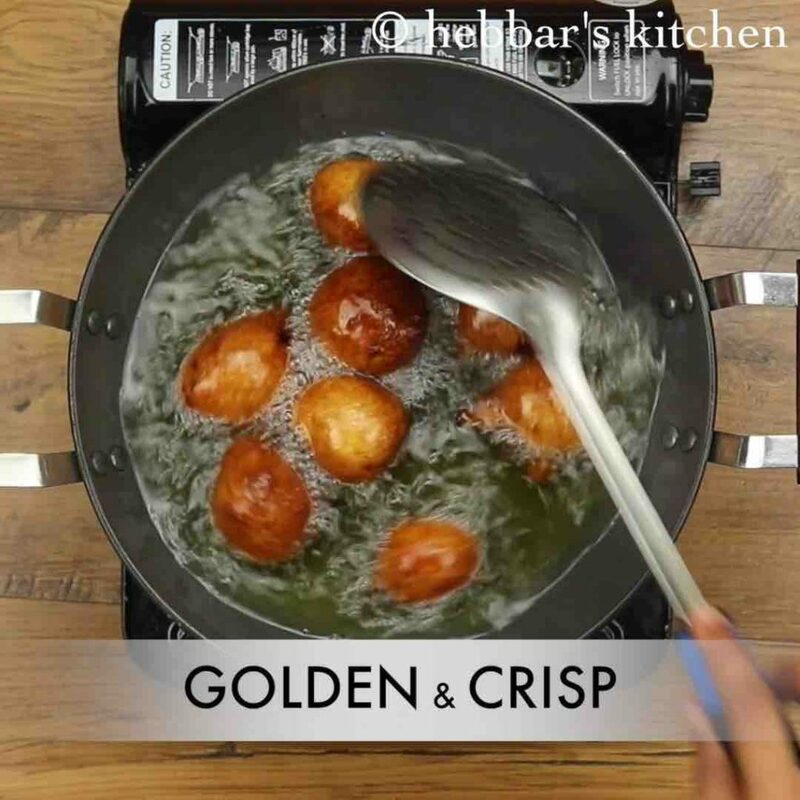 a unique snack recipe which is a combination taste with both sweet and savoury taste. the recipe is mainly prepared with wheat flour but it contains a very special ingredient i.e banana which gives the sweet taste and unique flavour to it. banana appam recipe | banana paniyaram | balehannu mulka or appa recipe with step by step photo and video recipe. appam or mulka recipe is very common sweet and savoury snack recipe which is typically prepared with wheat flour and choice of seasonal fruit. myriad fruits can be used for this recipe, but banana based paniyaram is hugely popular all over the season. 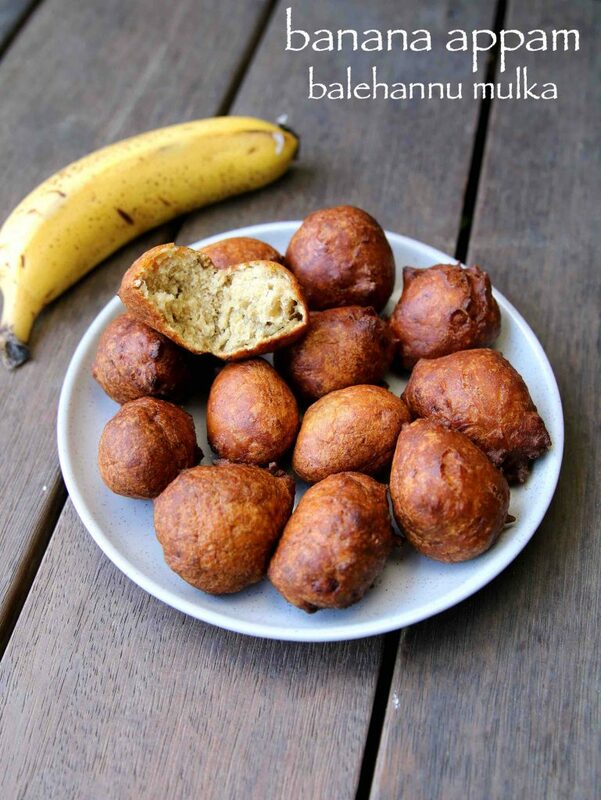 while it is a popular snack in the feast, but can also be relished as an evening snack with leftover bananas. whilst i am living here in australia, i am exposed to several international cuisines which i can only imagine in my hometown. having said that, the downside is i have to miss several delicacies which are typically prepared and enjoyed in my birthplace. especially i miss those recipes prepared with tropical fruits and vegetables. for example, it has been ages since i have enjoyed jackfruit based idli or appa/mulka. 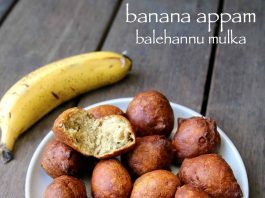 but thankfully i can enjoy banana appam recipe here with the several available banana flavours. well, i personally like the jackfruit based appa but balehannu mulka or appa is quite a match. this south indian cuisine dish is usually prepared as a snack for the celebration feast. furthermore, some important tips, recommendations and serving suggestions for banana appam recipe. 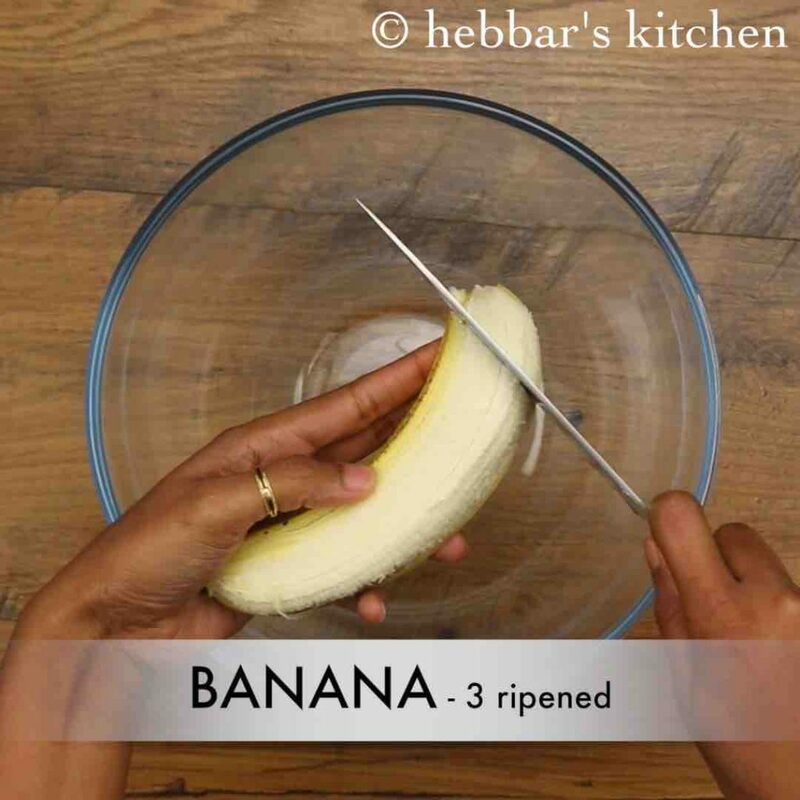 firstly, i would always recommend using ripe banana for this recipe. 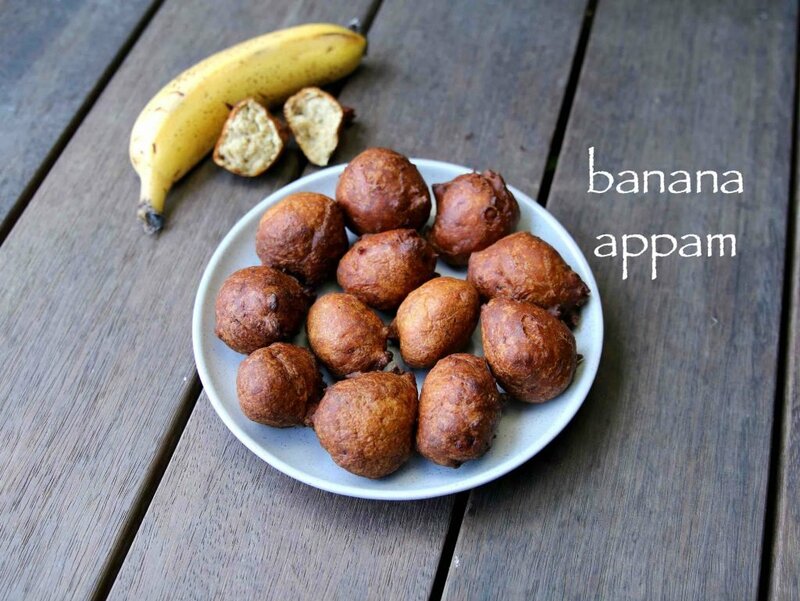 raw or just ripe bananas do not infuse the same amount of flavour to this appa recipe. secondly, i personally like the recipe with less sweet so have added just quarter cup of jaggery. however, if you consider your bananas less sweet you are more than welcome to add extra jaggery or sugar to it. 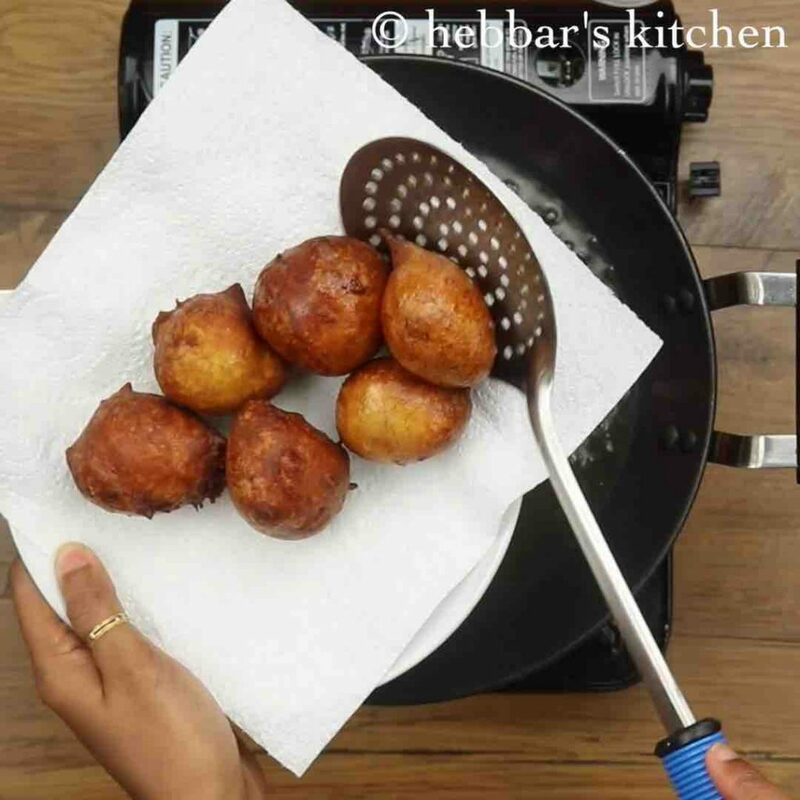 lastly, the typical recipe involves deep-frying these small dumpling in a hot oil, but as an alternative, you can use paniyaram pan or appe pan too. firstly, peel 3 ripped bananas and cut them into pieces. well ripped bananas give great results. 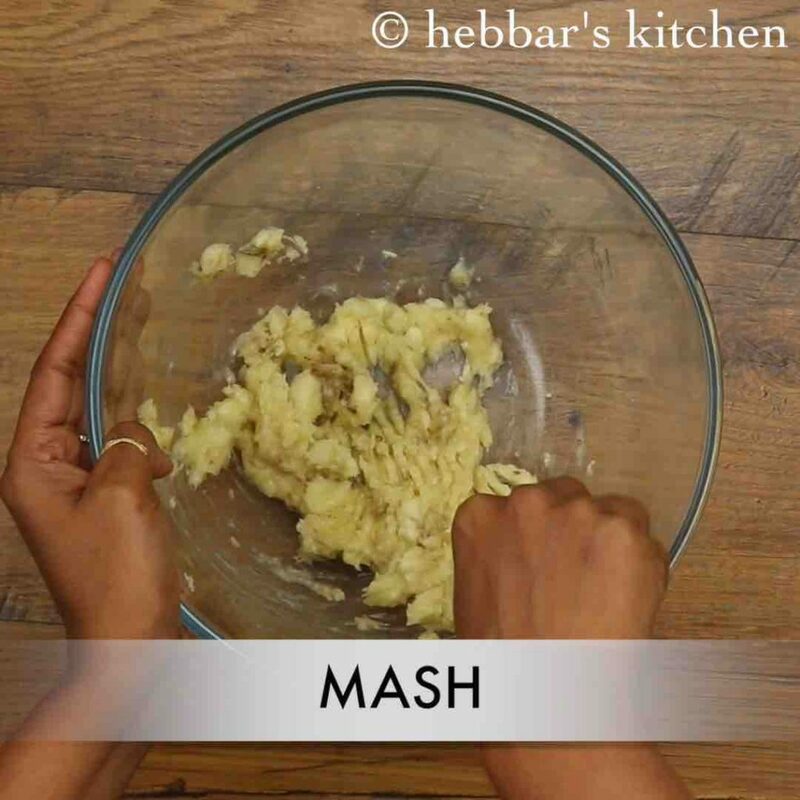 mash them with the help of fork making sure there are no lumps. 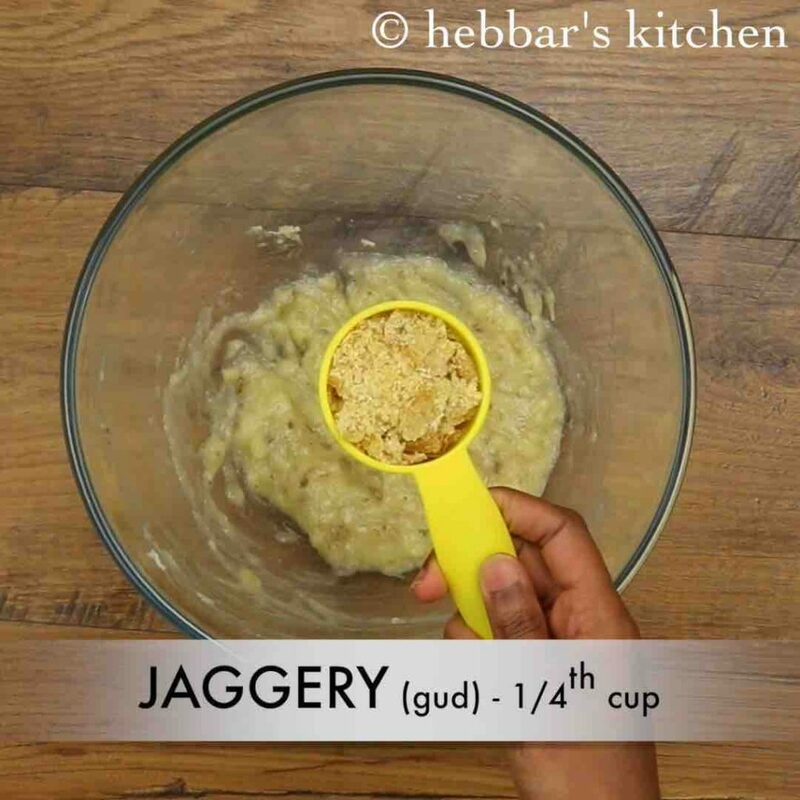 also add ¼ cup jaggery and mix well till the jaggery melts completely. now add 1 cup wheat flour, ¼ tsp cardamom powder and pinch of salt. mix well combining all the ingredients well. 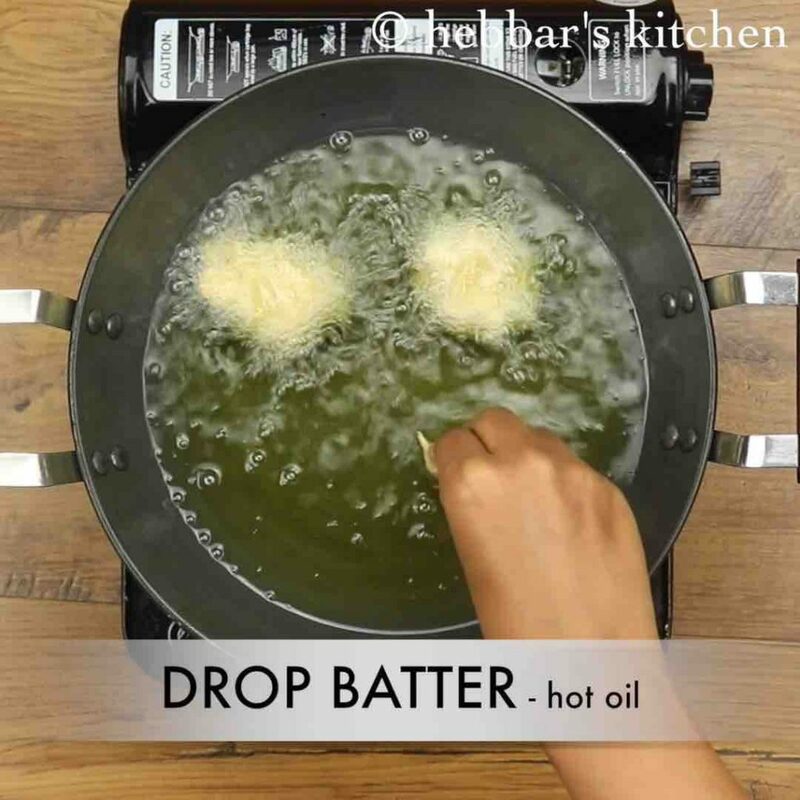 now dip your hand in water, and start dropping them one by one to hot oil. keep the flame in low to medium and stir occasionally. also fry the appam till they turn dark golden brown. drain off the appam on to kitchen towel to absorb oil. finally, serve banana appam or balehannu mulka topped with fresh ghee. 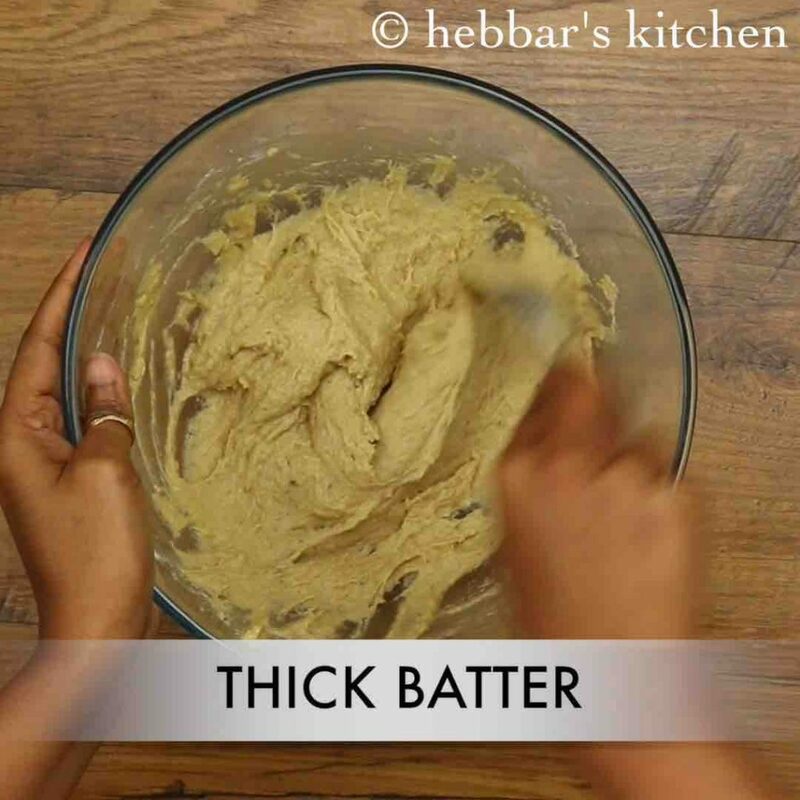 add more banana puree or water to make thick cake batter consistency. firstly, use over ripped banana for more flavour. 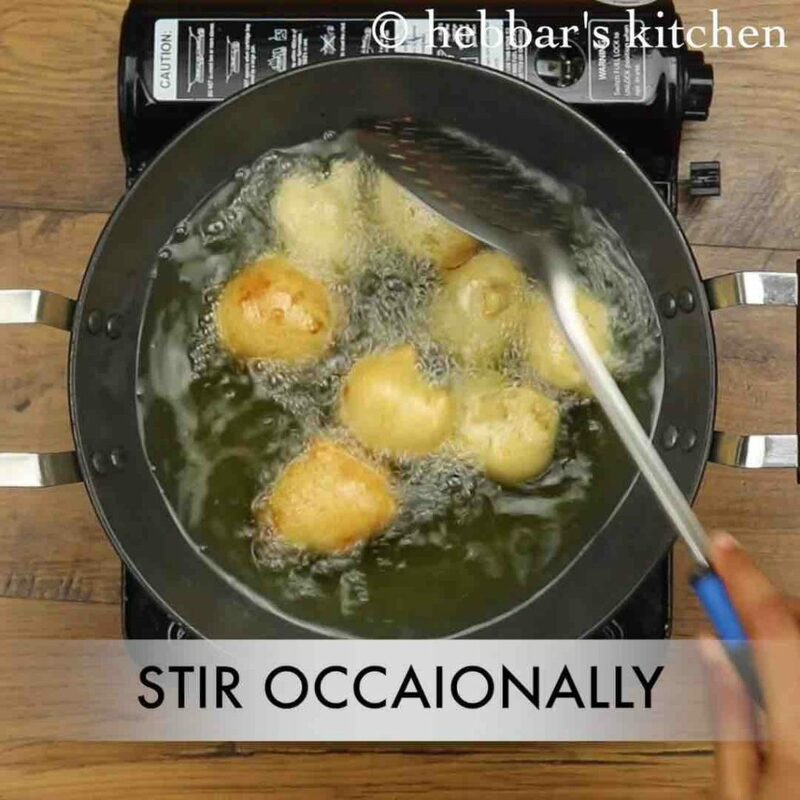 also, avoid adding water while preparing batter, as the flavour of appam will be lost. furthermore, you can alternatively pan fry these appam in appam pan if you want to avoid deep frying. finally, adding a pinch of baking soda to batter, helps to make banana appam or balehannu mulka more soft an fluffy. its easy.. what turned it difficult?? 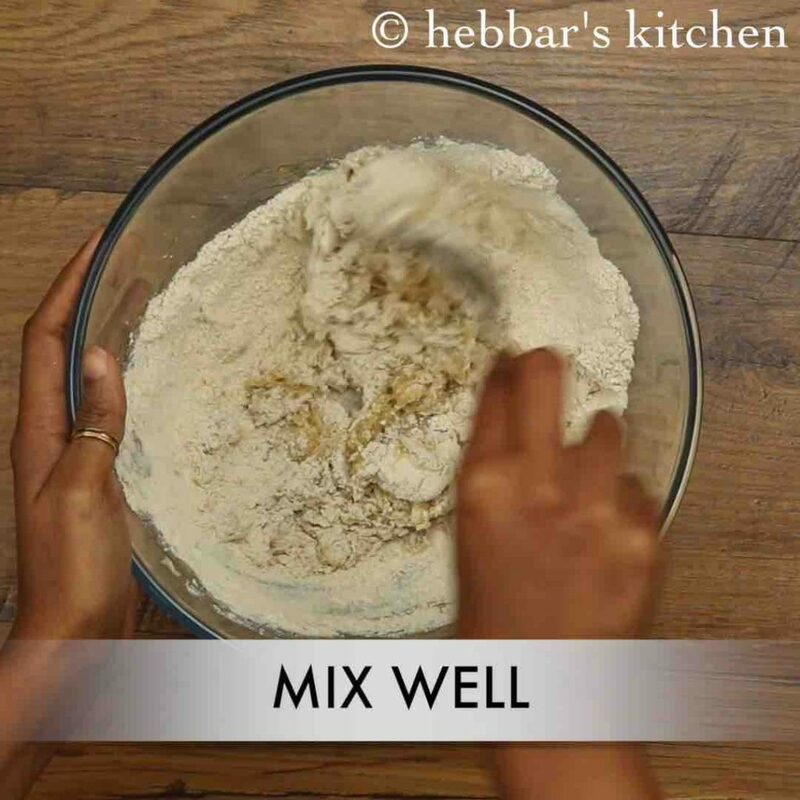 have you made hard dough? I tried this today. It was good. Thanks for the recipe. 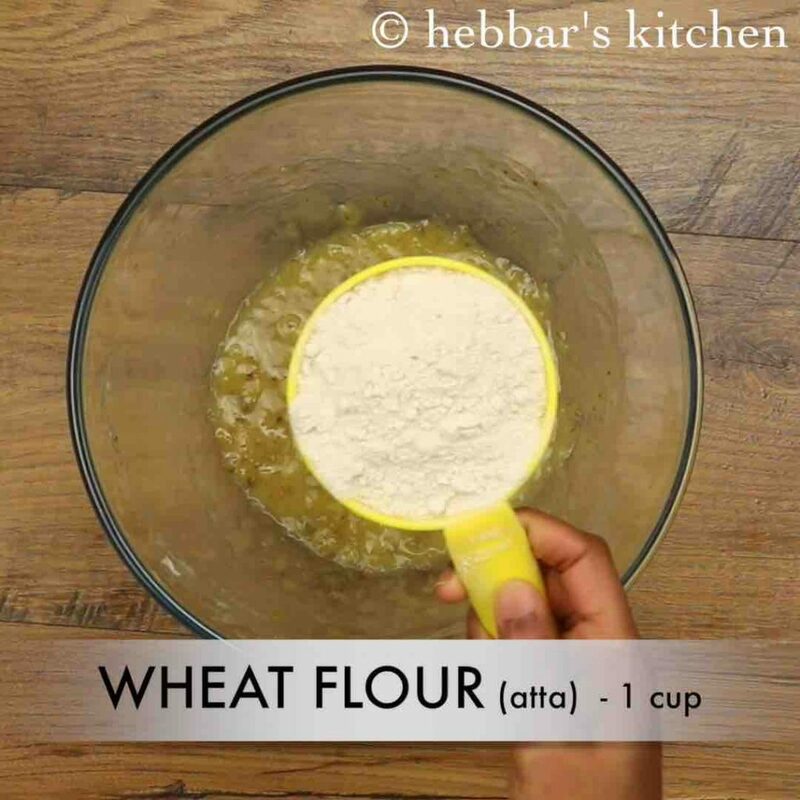 recommend to use wheat flour. however can be made in maida as well.